That's when my five-year-old son walked to a friend's birthday party dressed like Spiderman and shouted, "Will there be a nice child's birthday bag?" 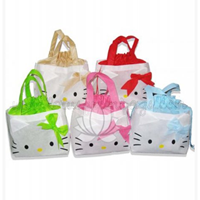 Celebrate a birthday with a fun party bag that your guests will always remember. 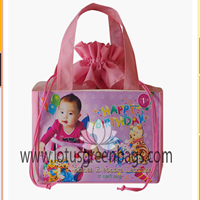 Whether you are looking for party supplies for kids, first birthday gifts, treat boxes, filled shopping bags or mass parties, the Lotus Green Bags Shop for Selling Birthday Bags for Children with many unique choices and birthday bags at attractive prices. Choose from a large list of our child's birthday bags, personalized party help, and other birthday ideas that are fun for your guests to take home as a party. 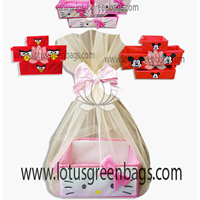 Fill a child's birthday bag with candy and toys or give a stylish and unique care box. From the baby's first birthday to the celebration of his 30th birthday, find a party that supports the idea of ​​having a party in style. Small bag or noodle box filled with candy, stickers, new erasers, small toys, light snacks, what is not liked? I used to think birthday bags were a little harmless, and if they matched the theme of the party, then everything got better. Kids love it. Enjoy creating unforgettable celebrations for your children. 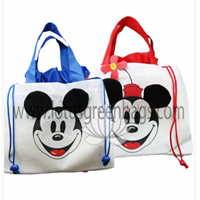 Micky & Minnie Mouse Birthday BagMaterial: SpunbondSize:height: 31 cmwidth: 24 cmside: 15 cmSuitable type of handbag is used in children's ualng year. With micki and minnie mouse characters will add to the attraction and cheerful birthday event. Kids OrganizerFabric type: spunbond, including tile and ribbon.Size:S (T: 10 cm, L: 21 cm, S: 20 cm)M (T: 10 cm, L: 33 cm, S: 25 cm)L1 (T: 16 cm, L: 25 cm, S: 20 cm)L2 (T: 16 cm, L: 25 cm, S: 15 cm)Can be used as gift box. Anda Mencari "Children Birthday Bags"? Buat Permintaan Untuk "Children Birthday Bags"
Custom Gift BagsFabric: Spunbond combination tile,, digital photo pront canvas waterproof.Size:32 cm highwidth 24 cmside 14 cmone-sided imageGift box that is designed unique and interesting. 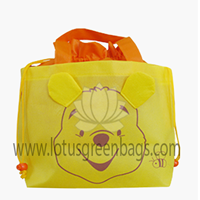 It is suitable for children's gift parcels.